Massa may not be the one of the best drivers out there, But I don't think he's far off the top 10 at all. He's showing he still has real pace. I find it a shame Williams are wanting other drivers. I still think he's a safer option than any they appear to be considering. I think it is money related. Massa wants more than they are willing to pay. 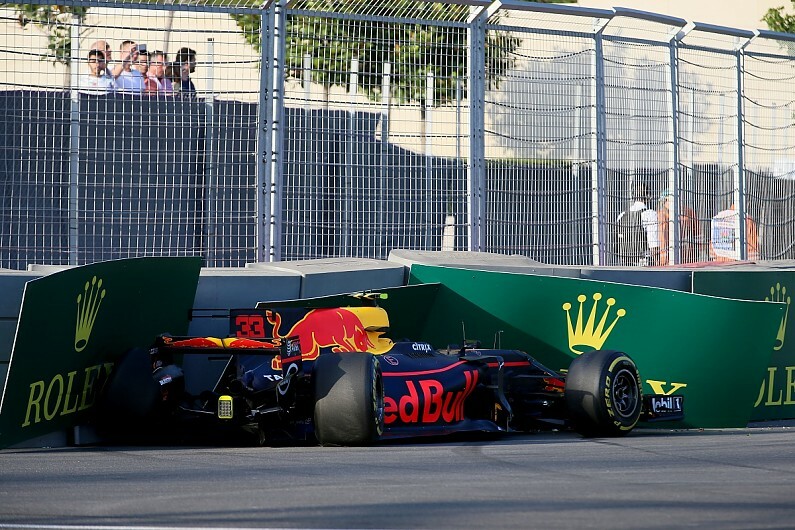 What a coincidence Hamilton crashed after wrapping the title! Don't think he let his guard down. Yeah, let’s get rid of the world champion because he made one mistake!! He doesn't make lots of mistakes but you would never see a young hungry Max do that. Verstappen span out at Austria this year during qualifying. He admitted it was his fault. Ignore the obvious trolling. This chap is pining after Verstappen like Herbert from 'Family Guy' pines after Chris. Is Master a Verstappen fan now? Jumped ship from Seb? Last edited by lamo on Sat Nov 11, 2017 4:36 pm, edited 1 time in total. I'm not even a Max Verstappen fan. I just made the point yesterday that Mercedes would love to make that swap. And I used today's mistake by Hamilton to emphasise the point that he is now getting older and is no longer the future. A Ferrari 1-2 is on the cards here if Kimi doesn't fluff his Q3. He'll be one of those that backs whatever non Hamilton driver is doing best. Tedious forum spammers are ten a penny. Max and Lewis with Rolex deals? Yep and was the case throughout practice too. "I'm not really quite sure, to be honest. Things happen." - Lewis Hamilton. Mercedes power is really untouchable in S3 so far...Even Massa has the 2nd fastest S3 of all. Honestly it's been the case for most of the year. Alonso has crushed him, let's just admit that. This is a tricky time for Vandoorne. He now has the same updates as Alonso. If he is well off the pace here, and in Abu Dhabi then he risks getting the Perez/Magnusson treatment. I don't think it will come to that. But certainly 2018 is essential for him. An improved 2018 for Mclaren but with Vandoorne struggling would certainly end his Mclaren career. Alonso has been impressive all weekend and is showing the potential of the car. Now imagine it with the Renault engine. It's good to see Fernando flying again. Yeah hopefully they can carry on and integrate that new power unit seamlessly. Alonso deserves a great car. A solid opener from Bottas but Vettel should be able to beat that time by 2-3 tenths. Last edited by lamo on Sat Nov 11, 2017 5:01 pm, edited 1 time in total. It's really amazing how Vettel keeps peeping Bottas seemingly all year. No, in fact it is getting pretty laughable. He just has that little bit extra and always finds it! Max ahead of Ricc again. Color me surprised. It would be unfair to make the Hamilton comparison with every rookie. But there is no hiding from the fact that Stoffel is the best prepared and most experienced F1 rookie in quite some time. He should be doing better. The recent Mclaren improvement has exposed his shortfalls more and more. I'm impressed that Alonso still maintains such ferocious motivation even at this stage. He'll be even hungrier without GP2 engines. I'm asking about a good season rather than a once in a generation rookie season. I think Vandoorne is having a perfectly reasonable looking debut season. It's very hard to look anything special against Alonso. I stand corrected. Great lap by Bottas!